4G engaged during latest concept design stage for materials research, development and tender pack. 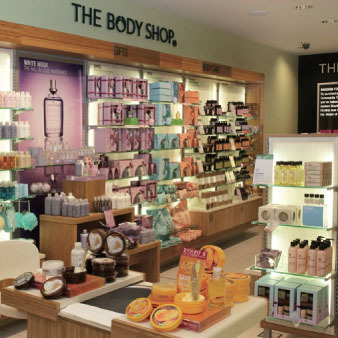 Management team has over 20 years experience working with The Body Shop. Eco-mapping to reduce Total Cost of Ownership and delivering overall savings. 4G have provided consultation and environmental design guidance for De Montfort University's Retail Lab. This unique resource offers design, development and testing of sustainable products and services for retailers, manufacturers and associated services.